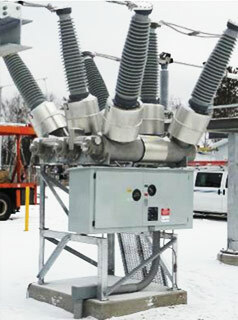 The DT1-145 and the DT1-170 are dead tank circuit breakers suitable for application at 170 kV and below. They are specifically designed and tested for general or definite purpose applications as well as for severe environmental conditions including low temperature, highly active seismic areas and regions with high pollution levels or corrosive atmospheres. The DT1-145/170 are suitable for application up to nameplate ratings, including definite purpose ratings. Extensive mechanical design testing to 10,000 operations and Class M2 certification ensure trouble-free operation for the lifetime of the circuit breaker. GE is a global leader in circuit breaker development with operating experience based on more than 100,000 circuit breakers with spring-spring operated mechanisms in service worldwide. GE designs, manufactures, tests and delivers its circuit breakers in accordance with the latest IEEE/ANSI and IEC standards, maintaining a quality assurance system according to ISO-9011 and ISO-14001 certifications. The center of excellence for dead tank circuit breakers is located in Charleroi, PA. 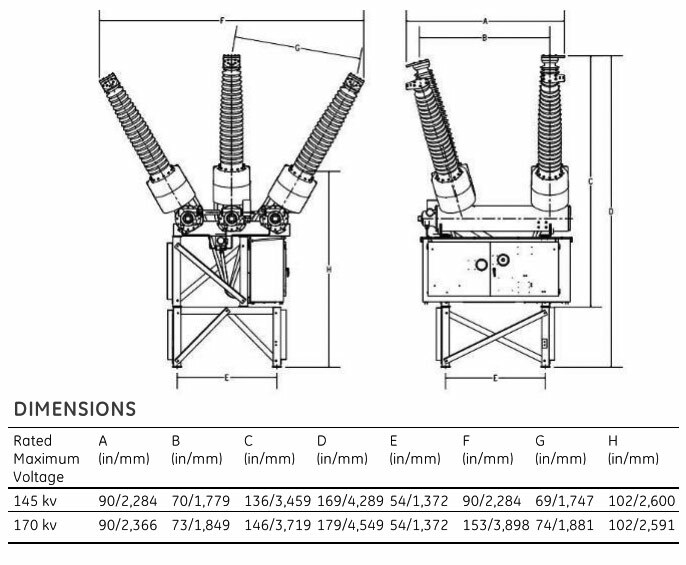 The DT1-145/170 are factory tested and adjusted and don not require an y “special tools” for installation. Designed with the smallest symmetrical footprint to allow for minimized foundation costs, they are recognized worldwide as easy-to-install and operate circuit breakers. Thanks to the low energy mechanism and lifetime lubricants, the DT series is virtually maintenance free. The DT1 series on-site installation requires only a few simple steps. For installations where truck shipment is impossible, all DT series circuit breakers can be readied for standard container shipment with only their bushings disassembled. *Standard values: further data is available on request. **Please contact Grid Solutions for special purpose, high TRV, high X/R or other ratings requirements.